You were born free, perfect and complete. Shortly thereafter, thought programs were installed by society to keep you small and orderly. By the age of 18, they were ingrained and you—through no fault of your own—became a self-regulated, self-doubting and, often, self-loathing being. It must stop. In the Mind Release session, we uncover and clear a number of these useless blocks, patterns and vicious cycles that hold you back. 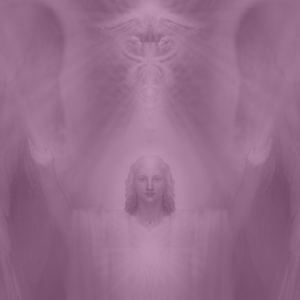 During the pre-session, your Akashic records will be accessed and tested to uncover which programs are running. Based on what is found, the appropriate release requests are made and cleared at the energetic level. During your session, we go over what was uncovered. After your session, you can expect more clarity and ease with your decisions. A follow-up email will be sent with a customized list of Activation Words prescribed for a determined length of time. Understand that while the negative pathways are now clear, the permanency of that state will depend on your upkeep due to the law of free will. Mental Blocks- Uncover which thought patterns block your mental state and clear your programming at the subconscious level. Emotional Blocks- Uncover which feeling patterns block your emotional state and clear your programming at the subconscious level. Financial Blocks- Uncover which thought patterns prevent you from receiving financial abundance and clear your programming at the subconscious level. Clear Brain Points- Energetically clear any disruptions found while testing various points in the brain and heart centers. Patterns- Test your perceived Life patterns and clear at the subconscious level. The Mental Basics- Add positive programming to support clarity of mind and heart. Next, provide the information needed to access your Akashic Records. After the session, you will receive an email listing your imbalances, their correlations and prescription code words and meditations you can use to maintain your newly open centers.